You track your runs, now track your races. 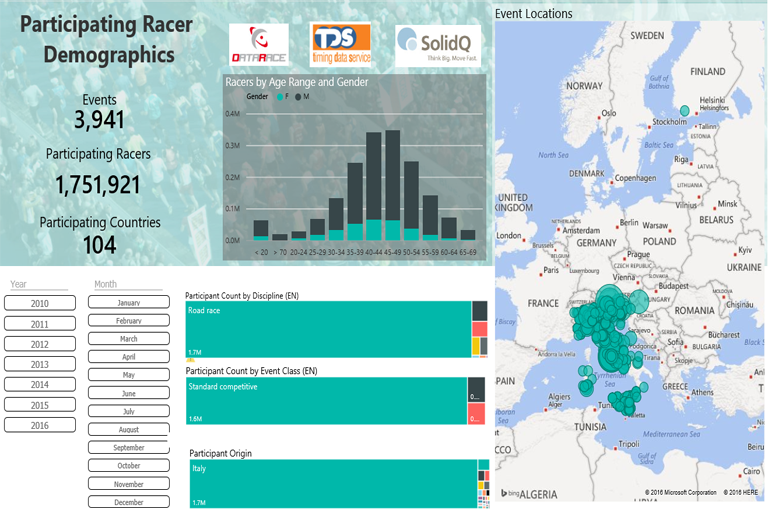 Datarace collects data about your run, bike and swim race performance, compares you to people all over the world and then visualizes the results in real-time with Microsoft PowerBI. If you run, bike or swim competitively, you probably use a training app to keep track of your training progress in preparation for race day. But what race-day information, other than your own performance data, can you interact with and visualize? Datarace closes the gap between the proliferation of training data and the lack of race information by collecting, analyzing and visualizing participant data for events around the world. With cutting-edge PowerBI functionality, participants can now track their performance in different races and compare themselves to their peers in real-time. This enables athletes to set their own success metrics and progress across different races and time periods. Arguably, the most exciting feature of Datarace, and where it differentiates from typical training app models, is its ability to predict athletic performance for upcoming races based on historical individual data, similar athletes, and race details. 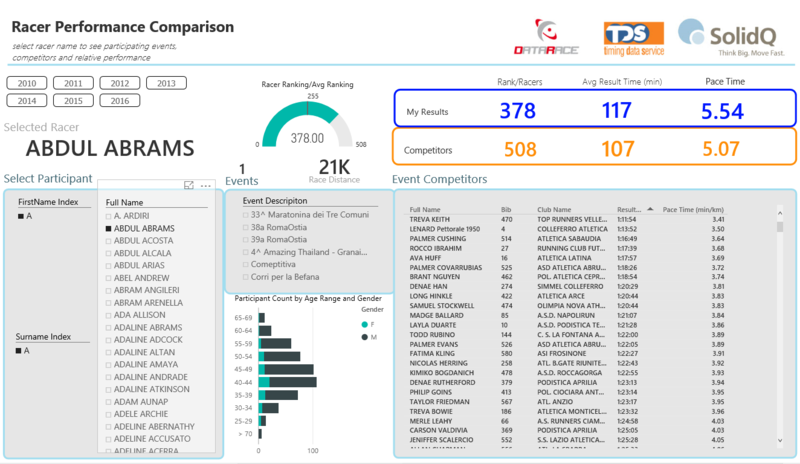 The Datarace dashboard provides reporting capabilities for analyzing data based on a number of criteria, and athletes can choose their success metrics based on what segmentation they find most valuable. For example, they can categorize themselves based on age, nationality, gender, finish times, pace, distances, splits and/or elevation. 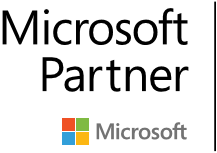 And because Datarace collects device information from athletes in real-time, this exciting Internet of Things (IoT) solution truly demonstrates the power and dynamic processing of the Microsoft PowerBI solution.